The Malahini is a Glen L ( American )design cold molded ply power boat. It will be 15.5 feet long and powered by outboard motors. I live in Tasmania and we have beautiful timber. 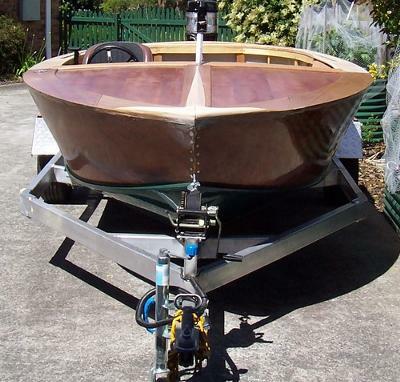 I am finishing my boat in Tasmanian myrtle veneer laid up on marine ply. I am currently doing the hull sides. That veneer looks really superb Glen.